← How can I print a GIF image to PDF file? 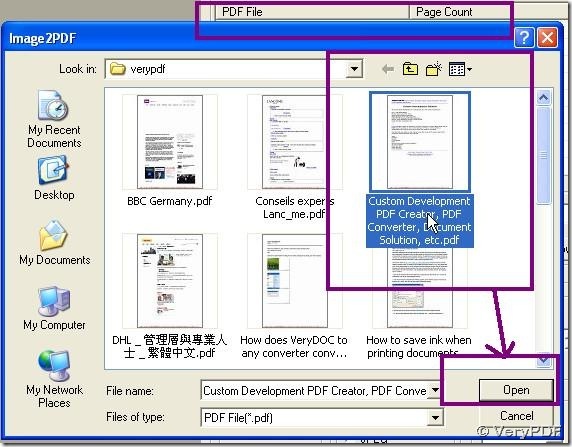 In this modern world, you are very lucky who can use PDF To Image Converter v2.1 to solve your problem! 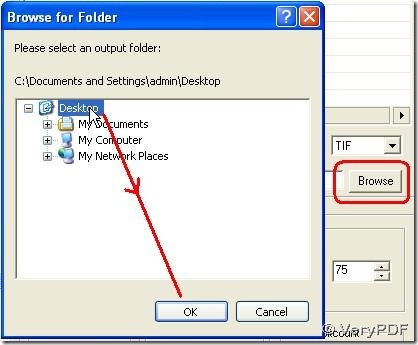 Download PDF To Image Converter: http://www.verypdf.com/pdf2tif/pdf2image.exe. 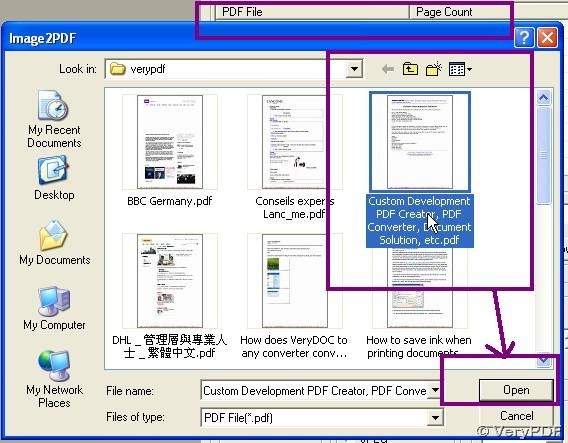 To know more about PDF To Image Converter v2.1: http://www.verypdf.com/app/pdf-to-image-converter/try-and-buy.html. Here you should know you just can download the trial version on PDF To Image Converter v2.1. If you convert your pdf file in it, you will get some watermarks on your files(images). Here let us start to learn how to convert it in PDF To Image Converter v2.1. 1. Open your trial PDF To Image Converter v2.1 to its interface--->click “Add” button to get your PDF file appear under “PDF File” subject--->click this route to activate your preview area automatically with getting “Remove” and “Remove all” which you can use to delete your PDF file active. Use the icons above your preview of your PDF file to promise yourself that there is no error in it if you need. 2. 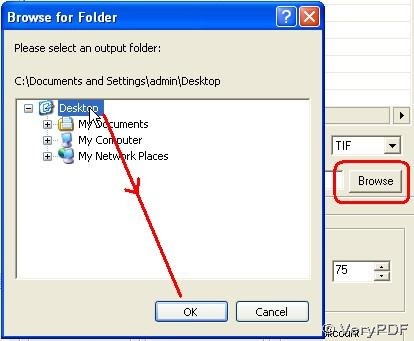 Find your folder on your pc to give your PNG image a space: Click “Browse” button--->choose a folder in pop window--->press down “OK” button, click the little black arrow in optional menu of “File type” to select “PNG” and click it. Look over the “Page range” field, you can see there are 7 pages under “Page Count” title, so if you would like to get several pages converted partly in PDF To Image Converter v2.1, you need to set a range of numbers in “From” and “To” after you activate “Page range” by clicking its blank. For example, you can set “From” as 3 and set “To” as 6 to get pages converted in the range of 3rd ---6th in your PDF file. 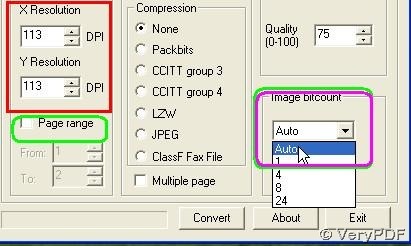 Or you can just avoid to activate “Page range” to get all pages image which will be converted by PDF To Image Converter v2.1, which is the setting in here. Focus on “DPI” options, You can set the values in these two option menu by clicking their little black buttons. Here we change the values to 113. The higher you set your parameters are, the more clear and the bigger in color, size and dimension on your PNG image file. Set your “Image bitcount” as “Auto” here to get the most qualified PNG image file. Here we should know there are 5 mode offered us in PDF To Image Converter v2.1. “Auto” = “24”; “8” can offer users gray images after click “Grayscale” when you choose “8” or offer us colorful pictures without choosing “Grayscale”; generally, for clearness, the greater your value is, the more clear your image is. 4. 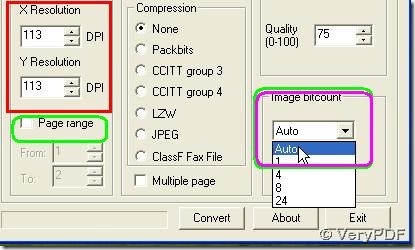 Click to process it in PDF To Image Converter v2.1. Except that, PDF To Image Converter can offer our users the function of printing PDF file by clicking button with the help of your technician. Finally ,shut down your PDF To Image Converter v2.1. What shall we do to converting Italian PDF to JPEG? Can PDF to Image Converter keep the font, font size, and font color in converting PDF to image? Can the software Image2PDF run in 64 bit? This entry was posted in PDF to Image Converter and tagged pdf2image, pdf2tif. Bookmark the permalink.